Wedding etiquette! Lots of different ideas and theories out there on what should happen for various moments of your wedding day, especially regarding your guests. I will try to make this a reoccurring topic! After some research, I found that there are three popular questions asked about guests; how do we divide the guest list, do we invite children, and should we pay for our out of town guests? So here is a wedding photographer’s answers! How do we divide the guest list? Besides hiring your wedding day vendors, I would say this is the hardest decision to make. Of course, you want to invite all the special people in your lives but it’s usually the budget that won’t let that happen (not to mention parents wanting to be involved). 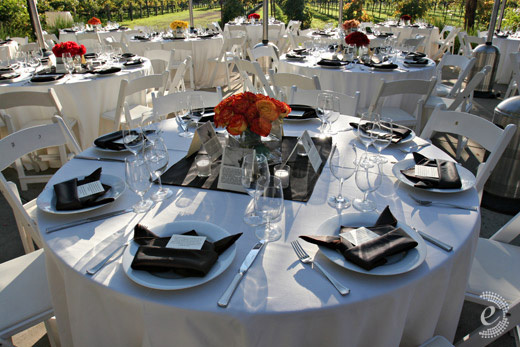 First, decide on your budget for catering and know the amount of people your venue can hold. Once it’s been decided, the ratio that best seems to work for most couples is 50%, 25%, 25%. If you are able to invite 200 guests, then as a couple you can invite 100 guests. The groom’s parents can invite 50 people and bride’s as well. This might not always work as some families are smaller or larger then others, but one thing to remember is that no matter who is paying for the wedding an equal number of invitees is essential. 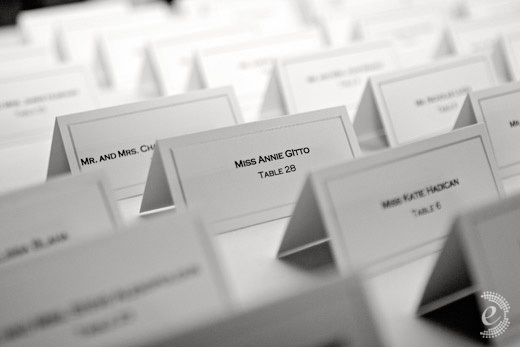 Check out more info on Reception Seating How-To’s & Organizing Tables. It’s becoming more common to not allow children to wedding day celebrations, especially receptions. The most common reasons not have children around is to avoid disruptions and to allow all adults to have a great time. Kids do offer a bit of fun to your wedding photography, especially if they are part of your family and fancy the camera. If you decide to not allow kids, it should be clearly mentioned on the invitation. There are two ways to go about this; you can specifically say ‘adult-only reception’ or you can label the invitation as ‘Mr. & Mrs. Johnson’ instead of ‘The Johnson Family’. Be aware that it may surprise or hurt some, but don’t back down if this is something you both feel strongly about. If you do allow children, there are multiple ways to keep the kids entertained while the adults have fun. Think about hiring a couple sitters for the event to host a children’s party in a nearby room. You can hire kid-friendly entertainment and provide games. 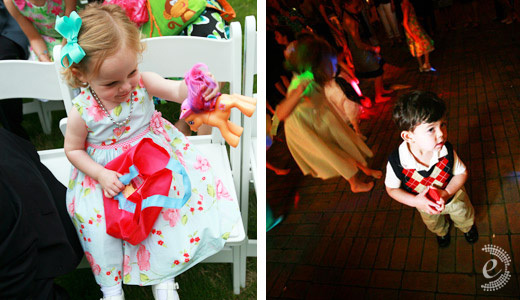 I have been to a few weddings that hosted a fairytale and circus parties for the kids, which were a blast for them! Check out What to Do With Kids. Should we pay for our out of town guests? Unless some of your guests are extremely important to you and can’t afford to come to your wedding, you do not have to pay for any travel or accommodations. The important thing is to give your guests plenty of time to plan for travel. Definitely reserve a section of a nearby hotel with good rates and include that information with your save the dates. Be sure to include the reservation number, nightly rate and the name it’s under so that they can reference when calling the hotel. One thing I do believe you should pay for is the food and drinks at the reception. 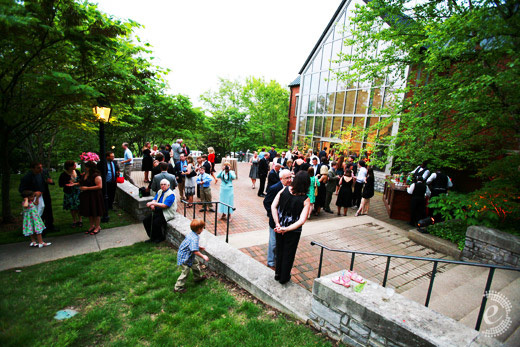 Cash bars may not come across classy or inviting for guests. You are inviting everyone because you want them to enjoy the intimate celebration with you, so be a great host! I understand budget constraints, but find other ways to cut the budget like favors, attire or pampering. Check out Destination Wedding Tips. One stop shop! Special Events & Weddings – Magnificent Milestones! Creating Fun Wedding Photo Booth Ideas!